J. Chlöe Braun and Lynette Rebeiro have teamed up to write a crime mystery featuring police detective Hugh Walters, formerly of Calcutta, now retired in the Himalayan town of Darjeeling. Readers will be engrossed from almost the first page and it will be hard to put the book down. The multi-dimensional characters will hold you spellbound, drawing you deeply into their entangled lives keeping you reading well into the night! Walters and his team are working on two cases: one involving the theft of some rare emeralds, the other an apparent homicide whose victim is an old retainer left in charge of guarding the emeralds. Surprisingly, there are clues that seem to link the two cases, if only Walters and the police can put them all together. That’s because the culprits have been methodical in covering their tracks so that all incriminating evidence points to the wrong target. Every thief and fence in the little town would like to get his hands on that necklace. Some would stop at nothing, even murder. Despite a tamperproof security system, the necklace is mysteriously stolen and the butler, the only eye witness to the crime, is shot and left for dead during the break-in. There are no clues and the police chief is left baffled, perplexed, and about to lose his credibility. A spate of similar jewel thefts in the town adds to his frustration. Step by step, clue-by-clue, the shocks and twists of the case leave everyone perturbed and a tidy answer seems impossible. The solution, however lies in what is not visible – the blind spot. By careful and shrewd extortion of information from their shady contacts and informers, they masterfully expose and protect secrets. The big challenge is to find the real villain who is revealed at the very end. Expatriates from India will find Blind Spot point out places and things familiar to many – an enjoyable and interesting story. Here's hoping Braun and Rebeiro will join forces again in a future book. 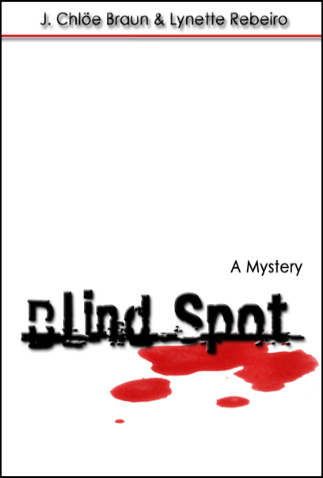 All proceeds from the sale of Blind Spot	will go to the Tiljallah Relief Fund	which benefits elderly and needy Anglo-Indians in India.